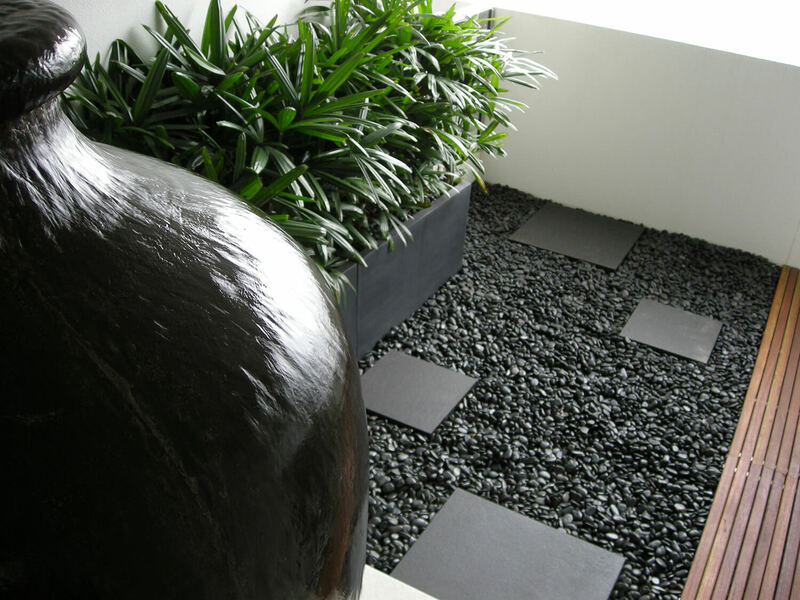 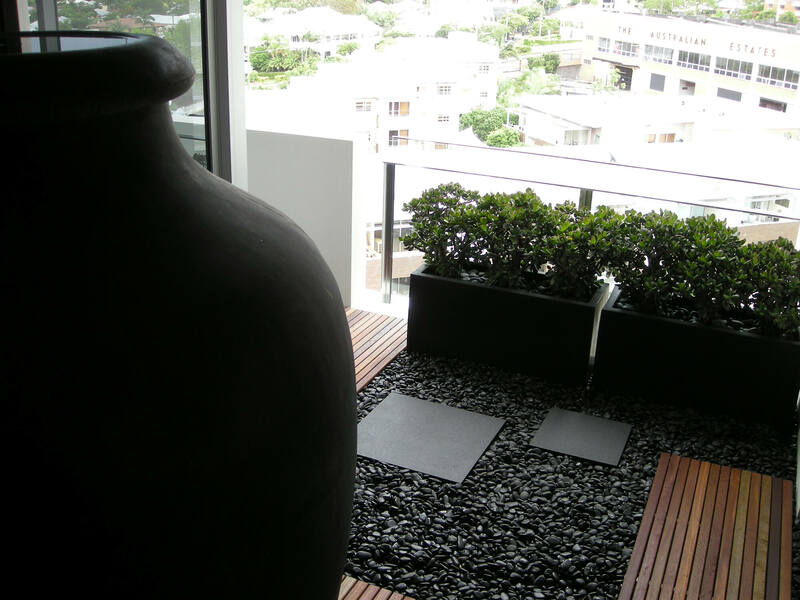 The clients wanted to create the atmosphere of an outdoor garden on the terraces of their inner city Penthouse. 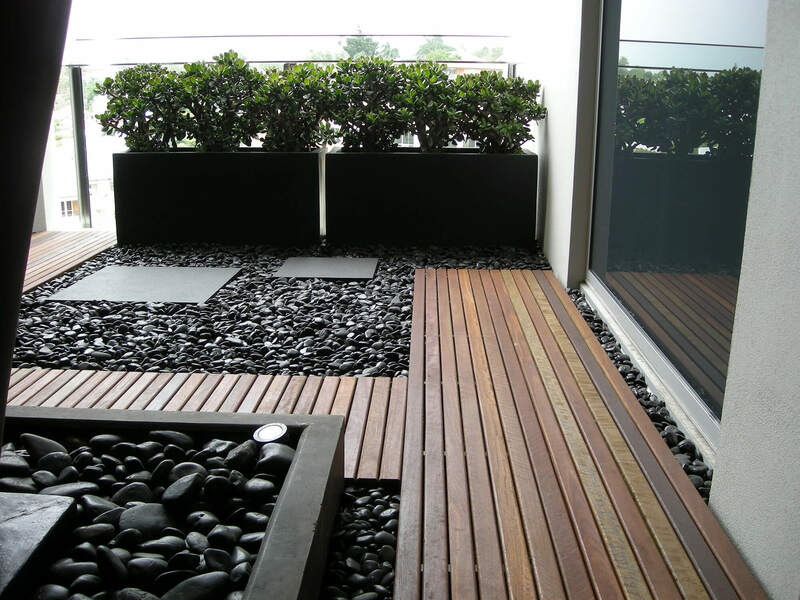 Hard paved surfaces were softened with the warmth of timber decks, the soothing flow of water over majestic urns, natural pavers & decorative pebbles. 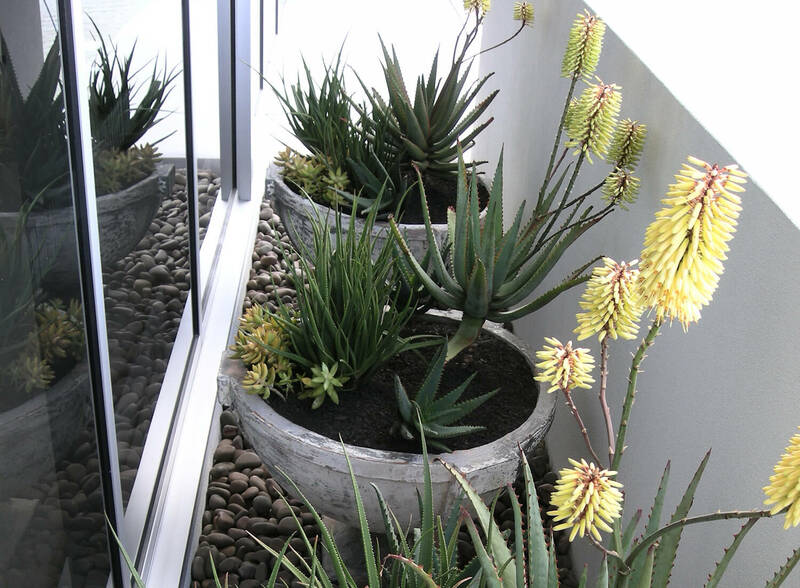 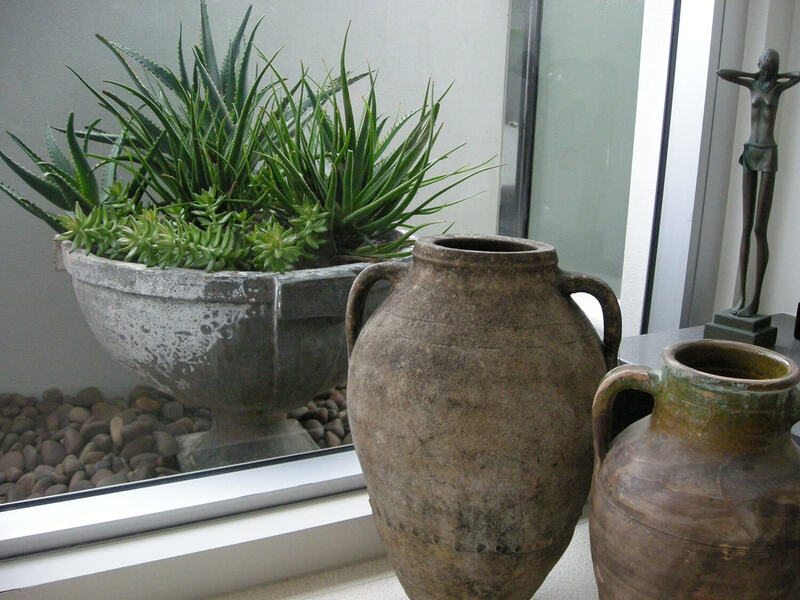 The plant selection, although limited by high rise living, are both low maintenance & provide the essential living green element.